I'm not a huge fan of wide angle/converging verticals shots. However, with such a stunning blue sky, I could not resist the temptation. The cathedral spire brought back memories of summer visits, to see the peregrines. I did not give it a thought at the time, but there are actually two peregrines in this picture! 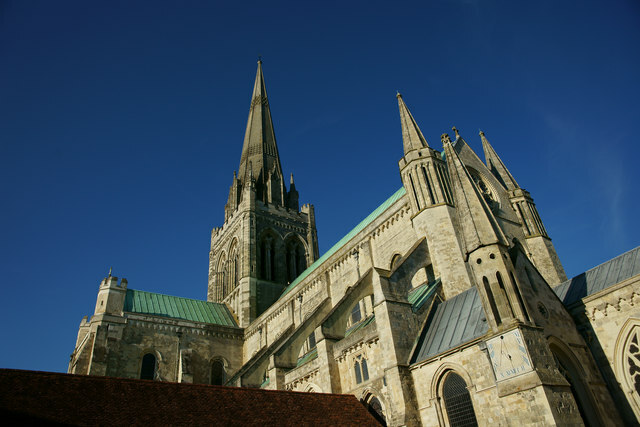 One can be easily seen, against the spire, whilst the second is perched on the first band of decoration, just below the tip of the spire. Sorry, Chester Cathedral also has a separate bell tower!